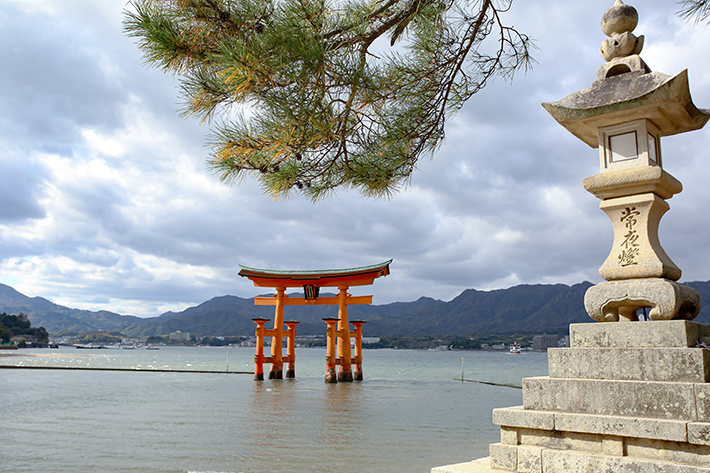 Awarded the status of a UNESCO World Heritage Site since December 1996, the Itsukushima Shrine is a national treasure of Japan which spans across an area of about 280 metres and 20 buildings. 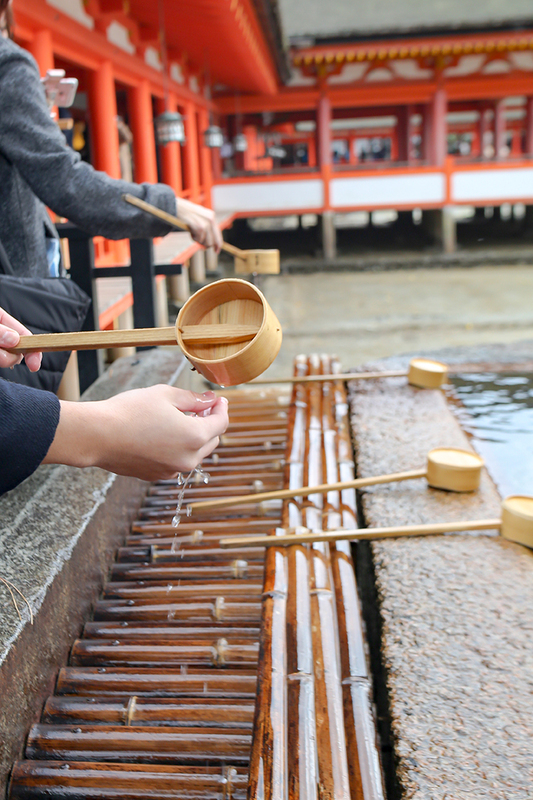 Prior to entering the Itsukushima Shrine, visitors are welcome to cleanse their hands at the Chozuya as a symbolic act of purification. All you’d have to do is to use the ladle to scoop some water from the central catchment area and pour the water over both your hands. 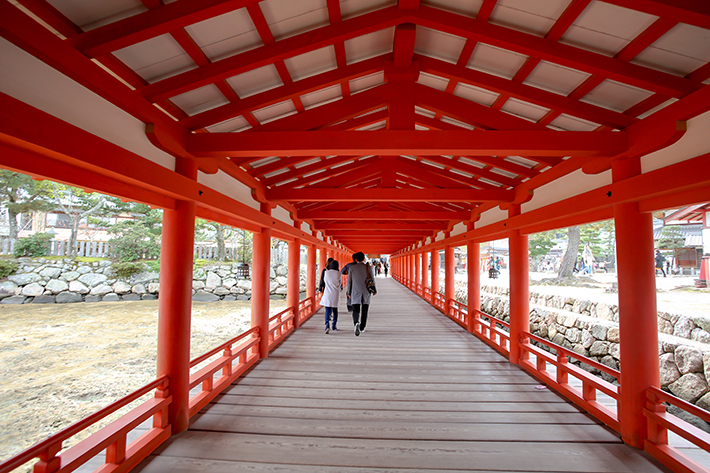 The Itsukushima Shrine is a splendid example of Shinden-style architecture—an architectural style used in the building of residences for nobility in the past. Take the time to explore the entire complex which comprises several halls and shrines lit by lanterns. And just 200 metres ahead of the Itsukushima Shrine lies the O-Torii Gate, the iconic “floating” gate which many flock to Miyajima for. 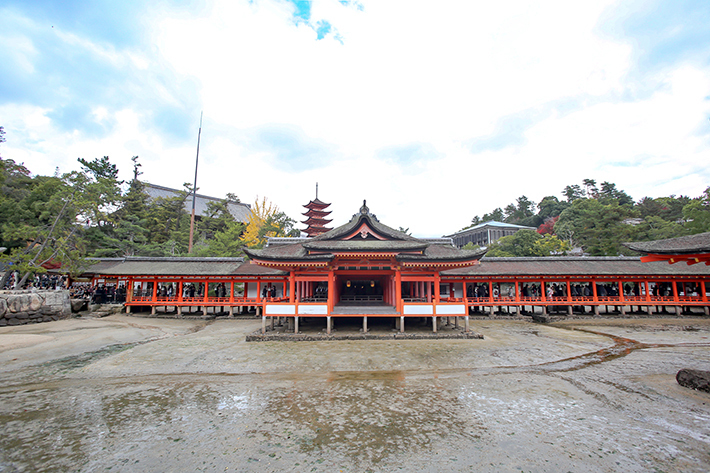 First constructed in 1168, the O-Torii Gate is considered the boundary between the spirit and human worlds and the vibrant vermilion colours of the gate is believed to keep evil spirits away. Depending on the tide, visitors may have the chance to walk to the foot of the O-Torii Gate and pass through it. Otherwise, admiring it from land during high tide would be just as magical. 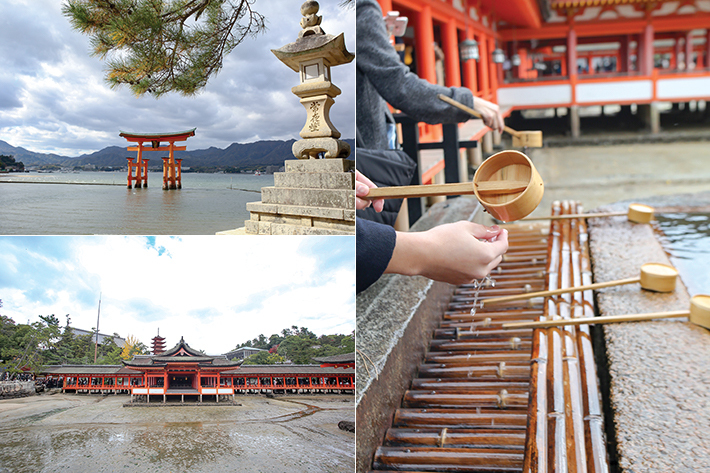 Admission to the Itsukushima Shrine will cost ¥300 per adult and ¥200 for high school students. Viewing of the O-Torii Gate is free. For more recommendations, read our guide on 5D4N Shikoku & Setouchi itinerary featuring 19 reasons to visit this beautiful region.